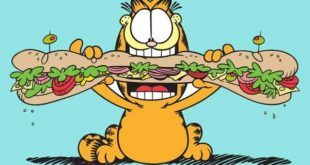 Designs will be licensed for products in Japan, and subsequently by King Features and its agents throughout the world. Japanese graphic artist Shinzi Katoh is developing designs for Betty Boop and Popeye which will be licensed for products in Japan, and subsequently by King Features and its agents throughout the world. 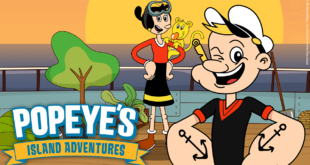 King Features is the worldwide licensor for Popeye and, working closely with Fleischer Studios, worldwide exclusive licensing agent for Betty Boop. The first Popeye collaboration designs were revealed at the Tokyo International Gift Show and will also be showcased at Brand Licensing Europe in October. 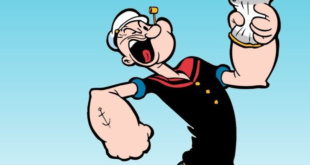 “When I was a child, I saw Popeye and Betty Boop for the first time on an old black-and-white TV and I thought that they were spectacular leading stars from a distant land,” said Katoh. Katoh has created numerous high-profile design collaborations with global brands such as Disney, Paddington Bear, and Hello Kitty and Shinzi Katoh products can be found at the MoMA store in New York, Le Bon Marche Rive Gauche in Paris, and Hyundai department store, Korea among others. “Shinzi Katoh’s talent, combined with his keen merchandising sense, has made him one of the top graphic artists in Japan,” said David Buckley, president of Copyrights Asia. Cathleen Titus, King Features vice president, international licensing, added: "We are thrilled to be able to offer a fresh new interpretation of our key brands to Europe and the rest of the international market. "Shinzi Katoh is immensely talented and we are looking forward to developing new product ranges incorporating his designs."